Today you are you, that is truer than true. 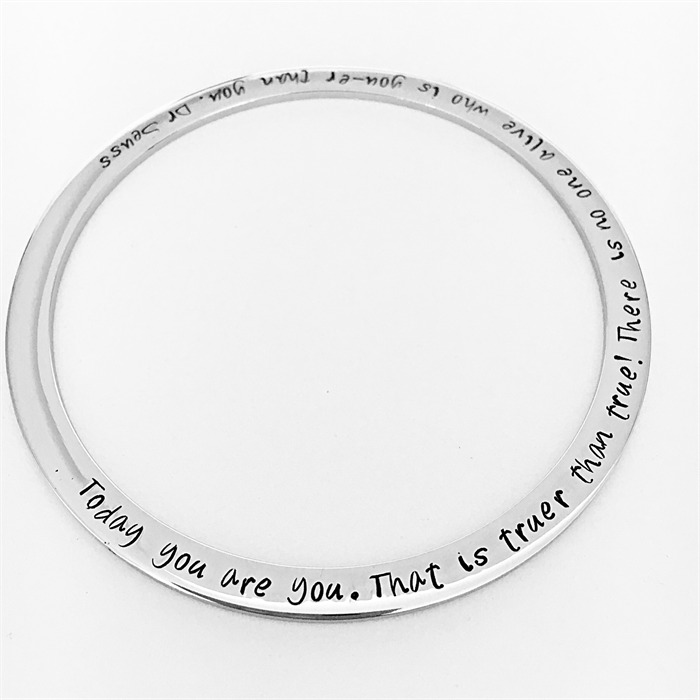 There is no one alive who is youer than you' is an inspirational quote that could be used for a fantastic graduation gift, birthday gifts, or just to give someone a special message of encouragement. These beautiful bangles are stainless steel and come in silver, rose gold or gold. There are three sizes which are measured across the diameter. Small is great for a little wrist/hand, medium is the most popular average size and large is good for long/or larger hands. 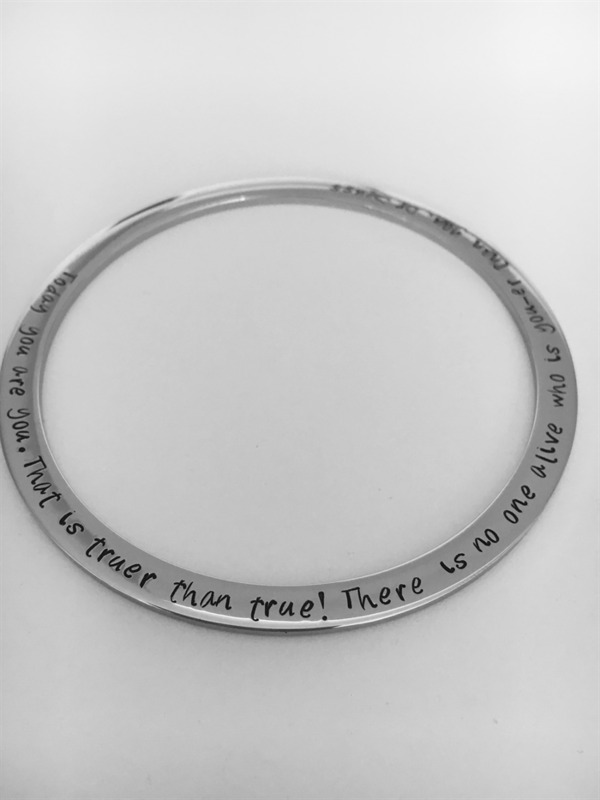 The bangle can be hand stamped on both sides and depending on the font can have up to 80 characters a side with my smallest font. This font in the pictures fits a little less. Please leave in the message to seller section if you prefer a different quote. There is a 7-10 working day production time on all hand stamped items.